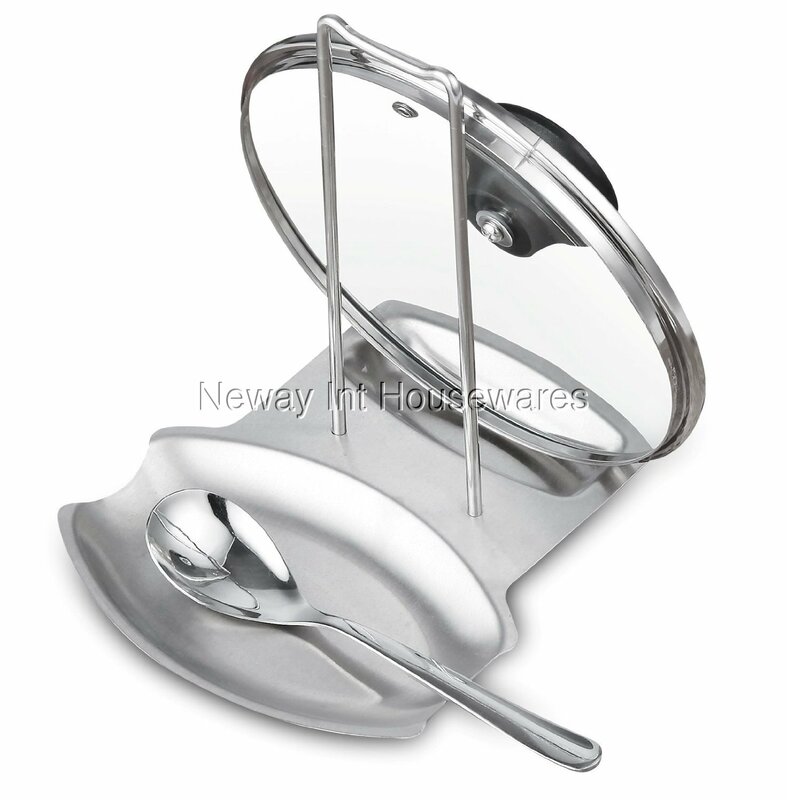 The Cook N Home Stainless Steel Spoon and Lid Rest is made of stainless steel that is polished for easy cleaning. Keeps countertop and stovetop organized while cooking. Fits most sizes of lids, spoons, utensils, splatter screens, etc. Assembled with 2 screws, no tools needed. Dishwasher safe.